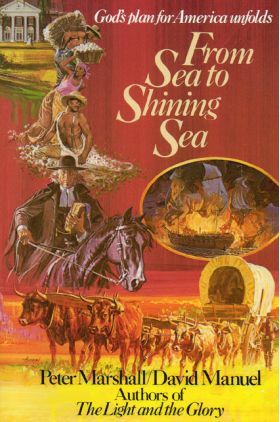 "From Sea to Shining Sea" (grades 6-12) is a recommended spine book for several TQ guides: " "Age of Revolution 1," and "Age of Revolution 2." What is a "spine book"? Remember, in TruthQuest history, no single book is "required," however, there are a number of books that are referred to to create an educational/historical spine in which your student can "hang" all his new-found knowledge. If you are using TQ history, you may find it helpful to include one or two of these in your study. 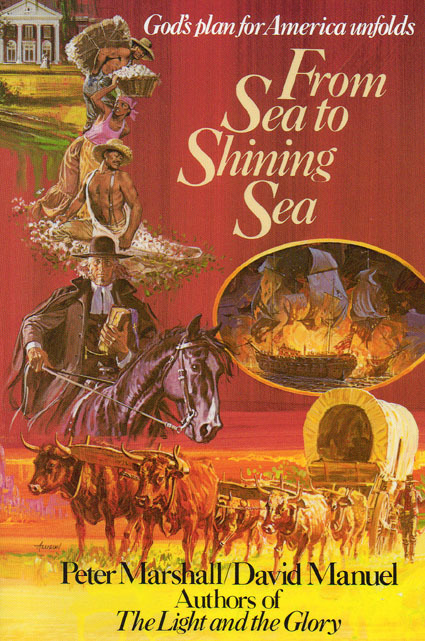 From Sea to Shining Sea was first published back in 1986. I had read the first volume just 3 years after I had become a Christian as a young teenager. My dad discovered the "Light and the Glory" (the 1st volume) - long before homeschooling was even heard of. I remember picking it up and reading it just for the fun of it (like a novel) - and was amazed at all the real history I had never heard of in my public high school! "From Sea to Shining Sea" was written with a purpose in mind: to reveal to people the truth that God deals not only with individuals, but with nations corporately, and that the birth of America (the existance of America) has a purpose. With this in mind, the authors wanted to reveal the amazing and often miraculous hand of God in the building of this nation by walking back through history, using original source documents in many cases, to show God's purpose for the American people. Though it has been years since I read this book, I was excited to see it presented as a spine book for TQ history, because I remember what an impact these books had on me as a teen/young adult. Written in interesting vignettes about major historical figures and events, this volume covers the time period from George Washington to the pre-Civil War.